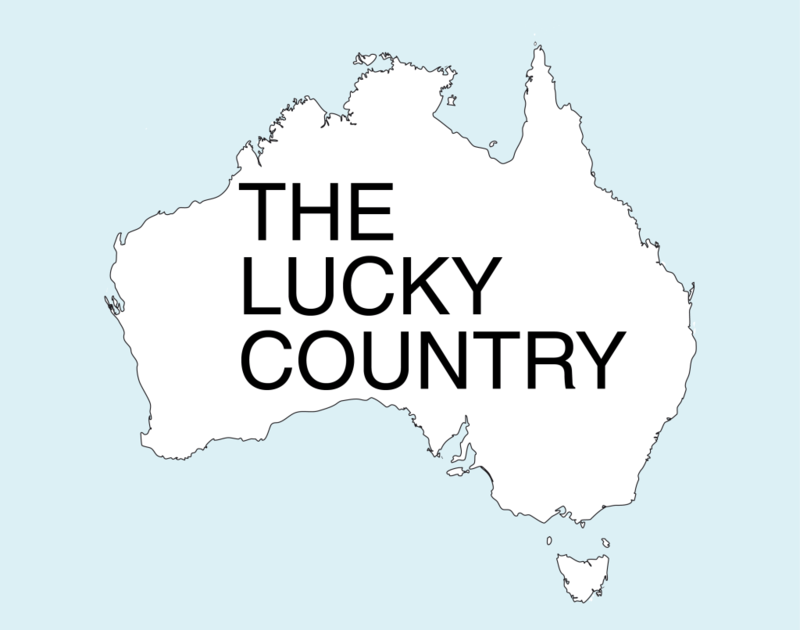 For those of us of a certain age, the book: “The Lucky Country”, penned by Donald Horne in 1964 was supposed to be essential reading. On my arrival here nineteen years later in 1983, I am afraid the book’s irony, negative tone and messages were lost on me, I was perhaps not sophisticated enough and far too star struck to digest its real intention and thrust. It lamented Australian inhabitants and leaders at the time as not being worthy of the absolute golden gifts someone from up above had presented to them. Coming from a dreary and depressing, weather-wise part of the world (Northeast England) one would be hard pressed to make a comparison of the two locations. Australia offered a level of vibrancy I had never encountered in my lifetime and I was blind to criticism’s being made of my newly adopted country by others. To be fair Horne was correct in his assertion that this land possessed an abundance of remarkable elements which made the continent seem as the mythical “Camelot” could really exist. The main complaint in his book that we were not taking advantage as a nation of this largesse. Far away from the rest of the world to allow us to put others people’s problems to the back of our minds, nothing could break the spell of our immaculate existence. We seemed immune to many of the ugly things that were going on in the rest of the world, our lives were very simple. Our naivety was first challenged by the world stock market crash of the early nineties, this world event pulled us back into its clutches and we were forced to think of our identity and how we were going to operate into the future. The recession cut hard into our respective lifestyles and what we were witnessing was anathema to the long-held traditions of a laid-back and confident society. Just when we thought the party was over the gods placed in our hands another incredible ace, a commodity boom created by China’s emergence as a world industrial powerhouse, giving us succour for two over decades, which continues to the present. Contrary to Donald Horne’s opinion Australia has built a modern competitive economy with good standing on the world stage and still remains a destination that people envy. To its immense credit, the country has mainly been able to transition itself from old traditional industries and embark on new exciting global opportunities. 1 The world suffered one of the most catastrophic collapses of our time, the Global Financial Crisis, something parts of the world are still tussling with ten years on. It almost brought the world financial system to its knees. We as a nation were mostly spared the agony that others encountered, in fairness our government acted to stem the damage whilst others did not. 2 Introduction of technologies which have transformed how we communicate with each other and the rest of the word. 3 The above technologies have led to multiple communication platforms. The growth of online media, opening avenues for all manner of commentators across the globe to express their points of view either to their respective governments or to reach a plethora of interested parties. 4 World trade which has mushroomed reaching almost every corner of the globe creating new markets but dismantling many other traditional ones leaving issues of unemployment in others. Through the passage of time, the Horne criticisms have been proved inaccurate. We have now achieved global integration, closer ties to our immediate neighbours in the Asia Pacific and spectacular progress in original world-class innovation. It can be claimed his barbs around the quality of our national leadership and lack of forwarding thinking still hold true, that is one nut we cannot seem to crack. The negative aspects of the various changes that have occurred have brought with it unfortunate elements which have been responsible for altering the face of our society. It should be noted that some have been totally out of our control with a global impetus. The innocence, perhaps bravado and patriotic rhetoric we often displayed have been replaced with a much harder edge which resembles being part of a very complex world. What is beginning to be understood we cannot maintain the status quo and like other countries are mired in a web of man-made issues which has bred an environment of self- interest, greed and intolerance. It is hard to imagine a good majority of Australians find this new alien atmosphere palatable and comfortable. So what can Australia do to retain its reputation as one of the greatest places on earth to live? One can express sympathy for those in our communities who have unable to come to terms with the new environment, with no prospect of matters returning to times gone by, furthermore, we can expect more change into the future. This even extends to our politicians who have been caught in the proverbial headlights of change uncertain what path we should take and experiencing the wrath of the nation. It has been noticeable my generation has adopted an extremely negative view of our future prospects creating a prophet of doom environment which has spread through the land, eating away at our usual stoic and optimistic outlook. It comes across as a bit churlish when we have lived through the most prosperous times for decades. At this time we are on the threshold of another generational cycle, in less than five years (2023). The old guard (us baby boomers) will leave the barracks and a new force will replace them. Every generation brings with it a new sense of optimism although some idealistic thoughts have a habit of never being fulfilled. Personally, I get a sense this time we can expect better outcomes. My claim is based on taking the time to listen to their respective views and not dismissing their possible contributions as worthless. This is something we have been doing constantly in recent times. We should be taking the approach of a mentoring role which includes listening, understanding, motivating and inspiring they whom will follow us. They come with a depth of education and knowledge never seen in our lifetimes. Of course, they come with a completely different style and a different value system but that is maybe not a bad thing. Today as a country we quite rightly honour our fallen and injured troops from our war history, it the least we can do for their sacrifice. What we face today is a different type of courage, it requires people, to stand up, recognise what we have and build a modern society that is envied. Not for one second do I believe we can flick a switch and to coin a familiar phrase “She will be right”, it won’t happen and to say so belittles people’s intelligence. In her recent book, the esteemed author Margaret J.Wheatley choose the title ” Who Do We Choose To Be ?. I can’t’ think of a more apt question that confronts Australia today. Only our ability to halt the negativity and inward navel gazing which we are currently engaged will determine our future success, any other possible scenario should not be acceptable to Australians. We owe it to ourselves to debunk Donald Horne’s jaundiced opinions all those years ago.